Successfully Added RGB LED Light String - 60 LEDs Per String, 2 Strings, 7 Colors , 5 Lumen Per LED, 50,000 Hour Life, 2 Meter Lenght, USB Output to your Shopping Cart. 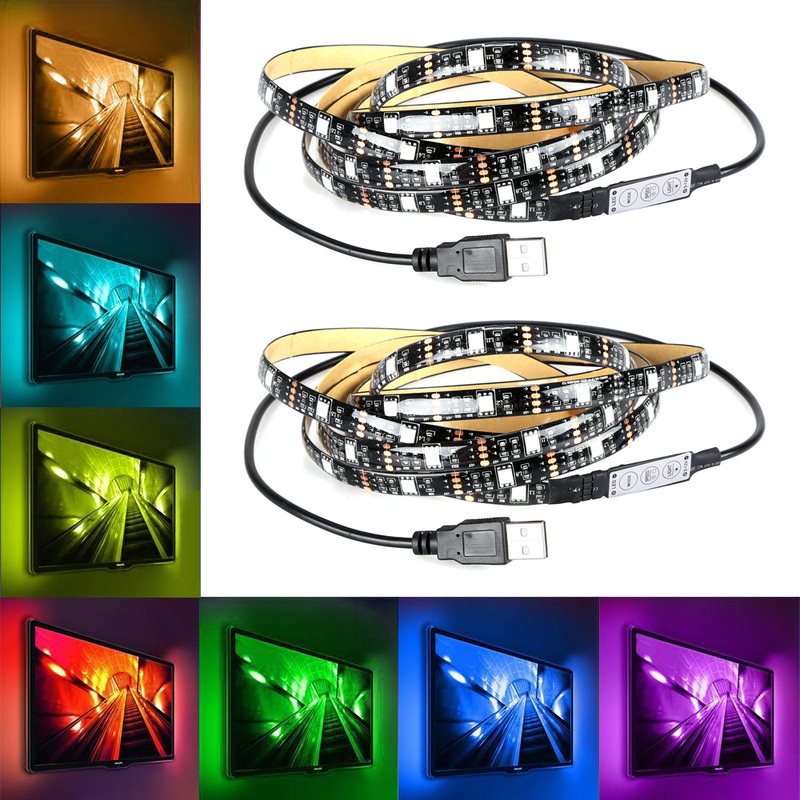 Light up your home, office, or storefront with these colorful LED Light strings. This package contains two light strings. Each string features 2 meters in length and comes packed with 60 high-end RGB LED lights. They are capable of bringing forth 7 beautiful colors of bright light that include red, green, blue, yellow, pink, purple, and white. Thanks to this, your LED light string truly allows you to set the right atmosphere for any location or situation. The sting itself is crafted out of soft and flexible material, making it easy to shape in any form imaginable. With these beautiful LED lights, you’ll truly be able to spice up your surroundings. Thanks to their USB output, they offer a great way to add an extra dimension to, for instance, your TV set. This will truly increase your visual experience while enjoying your favorite films and series. Each of the 60 LEDs that one light string holds delivers up to 5 lumens of light. Thanks to this, your light string puts forth an uninterrupted glow of colorful light over a distance of 2 meters. With its durable design and high-end LED lights, this gizmo can be used for up to 50,000 hours continuously. Therefore, you won’t have to worry about replacing them anytime soon once they have been put in place. Simply attach the light string to the surface of your liking, select your favorite color, and enjoy a beautifully colored light.